Lowes was founded in 1946 in North Wilkesboro, North Carolina. What was originally a small hardware store, has grown into one of the leading home improvement stores in the world. How often do you shop at Lowes locations? In Southern California, specifically in the Los Angeles area, there are many Lowes stores. The stores are conveniently located throughout the county to facilitate the community member’s home improvement projects. Most customers of Lowes associate their visits with positive experiences. However, some Lowe’s customers’ shopping experiences are tainted with unfortunate incidents. In large stores, especially hardware and home improvement stores, it is common for customers to suffer a variety of injuries while on the premises. One of the most common types of accidents that can be suffered when you least expect it is a slip and fall accident. Did you suffer a slip and fall accident at a Lowe’s store? If you slipped and fell at Lowes, you might have grounds to sue Lowes for your injuries. If you are interested in filing a Lowes lawsuit, you might be in need of immediate legal assistance. The slip and fall attorneys at Kenmore Law Group could help you learn more about your right to sue Lowes for negligence. Can I sue Lowes for a fall? How can I sue Lowes after a slip and fall accident? When you contact Kenmore Law Group, you can trust that a lawyer in Los Angeles to sue Lowes for a customer’s injuries will be available to answer all your questions and address all your concerns regarding your Lowe’s slip and fall claim. If you would like to speak with our attorneys to discuss your slip and fall claim, you must contact our law firm as soon as possible. Many victims of slip and fall accidents suffer fatal injuries. If you suffered injuries or a member of your family died as a result of a slip and fall accident at a Lowe’s store, you might have grounds to file a lawsuit against the store. For more information about whether your injuries are grounds for a lawsuit against Lowe’s, you must contact our Lowes slip and fall lawyers to discuss the possibility of suing Lowe’s for the injuries that you or your family member sustained. Can I sue Lowes for Injuries after an Accident at Lowes Stores? Yes, you can sue Lowes for injuries you sustain in an accident in one of their stores. You could sue Lowes if you got injured on their premises. Was your slip and fall accident caused by a hazard that should not have been present in the store? Was the hazard created by a Lowe’s employee? Were employees aware of the hazard? Did employees ignore the hazard and fail to address it before it caused an accident? Did employees fail to inspect the store premises to identify and address hazards? If you answered affirmatively to any of the questions above, you could sue Lowes for the slip and fall accident that you suffered in the store. For more information regarding your right to sue Lowe’s for the injuries suffered in your slip and fall claims, you must speak with a Los Angeles attorney that handles slip and fall claims against Lowes as soon as possible. Is Lowes Liable for Your Accident? The short answer to that question is yes; Lowes is liable for your accident. Lowes’ liability is based on premise liability. Under premise liability, stores are liable for all harm suffered in their premises. A store premises consists of everything inside the store, sidewalks surrounding the store, and, often, parking lots designed for customer use. What is Lowe’s duty to you and other customers? The store—its managers and other employees—must do everything within their reach that customers are not harmed while on the premises. In other words, they must constantly inspect, identify, and address hazards to ensure that their customers are not at risk of suffering accidents and injuries. Consider one of the most common slip hazards—a wet floor. If the hazard was addressed with a “wet floor” sign but the customer ignored the sign and fell, the store could still have some liability. Regardless of the situation, you must contact an attorney with experience in Lowes injury cases to discuss whether you can benefit from pursuing a slip and fall claim against Lowe’s home improvement store. There are many categories of compensation that could apply to your slip and fall claim against Lowes. If you would like to learn more about the compensation that you could receive for your slip and fall injuries, you must contact the attorneys at Kenmore Law Group to discuss your case with our attorneys. Our attorneys understand how important it is for you to recover the compensation that you deserve. Therefore, our attorneys will not rest until you receive the maximum amount of compensation available for your slip and fall claim against Lowe’s. If you are ready to fight for your right to be compensated, you must contact our law firm as soon as possible. $130,000—the victim slipped and fell on a wet floor in a major store. The fall resulted in a variety of injuries, including foot injuries, knee injuries, and shoulder injuries. $199,000—the victim suffered a slip and fall accident in a major store, resulting in a sprained ankle, a knee injury, and multiple disc injuries. $1.5 million—the victim suffered a severe leg injury that required multiple surgeries after experiencing a slip and fall accident in a popular store. As you can see, there is no universal claim value that can be applied to all slip and fall cases. There are many cases that could affect the value of your slip and fall claim. For more information about how much your slip and fall claim could be worth or to review more verdicts and settlements against Lowes for injuries to a customer, you must contact our law firm as soon as possible. How Can I File a Claim for Injuries against Lowes? File a Lowes incident report with a manager. Take photos of both the scene of your accident (ensuring that the hazard is clear) and of the injuries you sustained (if visible). Collect witness information for later reference (if there were any witnesses to your accident). Seek immediate medical attention for the injuries you sustained during your slip and fall accident. Contact an attorney experienced in slip and fall accidents as soon as possible. How to file a lawsuit against Lowes for a slip and fall? What should I do after my slip and fall accident? If you follow the process outlined above, you should not have any difficulties in pursuing your claim against Lowe’s. 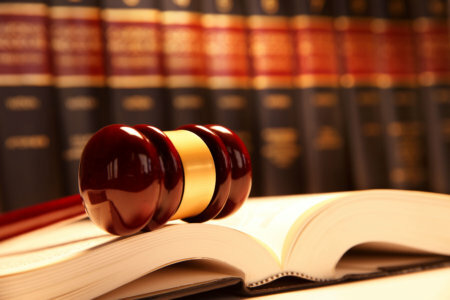 Do not hesitate to contact our law firm as soon as possible to begin your process against Lowes. How to file a lawsuit against Lowes if I was injured in their store? How to file a claim against Lowes if I got injured in their store? If you suffered a slip and fall accident and you have asked yourself any of the questions listed above, you must contact our law firm as soon as possible. The experienced attorneys at Kenmore Law Group are prepared to handle your slip and fall claim against Lowe’s home improvement store. If you suffered a slip and fall accident as a result of the negligent actions of Lowe’s employees, you have the right to sue and receive compensation. When you contact Kenmore Law Group, you can benefit from our free consultations and free second opinions. During these free legal services, our experienced slip and fall attorneys will be available to answer all your questions and concerns, ensuring that you are provided with all of the information necessary for a successful claim outcome. If you believe that your slip and fall claim has been previously affected by the incompetence of an attorney at another law firm, you can be certain that our lawyers will dedicate themselves to redirecting your claim and guiding it to a successful outcome. If you would like to schedule a free consultation or free second opinion, you must contact our law firm as soon as possible. 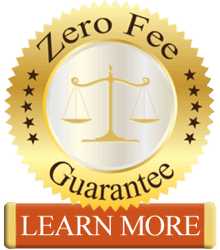 Our Zero-Fee guarantee ensures that our clients never have to worry about paying any upfront legal fees for any of our legal services. Because our firm is also strictly based on contingency, our clients will not be required to pay any legal fees until after our attorneys win their claims. You must contact the attorneys at Kenmore Law Group to discuss the details of your Lowes slip and fall accident.